Signs and symptoms of prescription drug abuse depend on the particular drug and can include coma, seizures, and death. Relatives and friends are the most likely sources of the medications consumed during acts of prescription stimulant abuse, a team of American and Taiwanese researchers has found. Prescription stimulants are a diverse group of medications commonly used in the treatment of conditions such as attention-deficit hyperactivity disorder, the sleep-wake disorder narcolepsy and dangerously severe obesity. All told, these medications rank highly among the most widely abused prescription substances in the U.S. 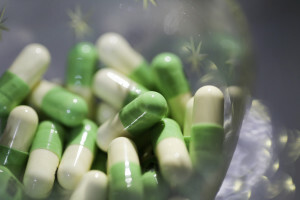 In a study published in October 2014 in the journal Drug and Alcohol Dependence, researchers used data from an annual, nationwide U.S. project called the National Survey on Drug Use and Health to determine the most common sources for the medications consumed during acts of prescription stimulant abuse. Adderall is a stimulant prescription medication used to treat patients with attention deficit hyperactivity disorder (ADHD) and narcolepsy. For these patients, the drug helps to normalize brain function and behavior. Unfortunately, the drug is frequently abused by healthy individuals looking for an edge. As teens head off to college this fall, an alarming new report reminds parents and physicians that keeping grades up aren’t the only concerns for families. Since early adolescence, some of these students have been taking medications for Attention Deficit Hyperactivity Disorder (ADHD). Others will start taking them in college even though they have never been diagnosed with the mental disorder because they will hear from friends that drugs like Ritalin and Adderall can help them stay more focused when studying and taking tests. A new report by the Substance Abuse and Mental Health Services Administration reveals that 23,000 young adults visited an emergency room in 2011 for ailments related to using ADHD drugs. This was more than four times the number of young adults, 5,600, that visited the Emergency Room in 2005. Today parents of teens have more to be concerned about than marijuana and binge drinking. In fact, the unassuming medicine cabinet could pose more danger to a young adult than the streets. Adolescents and adults alike often have misconceptions about the safety of prescription and over the counter (OTC) medications, and according to data from the National Institute on Drug Abuse for Teens (NIDA), youth aged 13 to 16 are at highest risk of over the counter (OTC) drug abuse. Urban vs. Rural? Where Is Abuse of Prescription Drugs Highest? 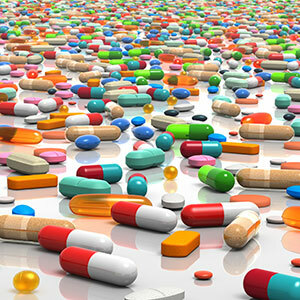 The epidemic surrounding the nonmedical use of prescription drugs continues to be a concern of physicians, pharmacists and law enforcement specialists. Understanding the trends that surround the use of prescription drugs for recreation is critical for reducing the misuse of the drugs. There has been much public discussion recently about the growing tide of teen prescription drug abuse. With medicine cabinets as convenient in-home pharmacies, the temptations have been too strong for curious adolescents to resist, and the abuse and dangerous misuse of prescription medications by youth is a disturbing epidemic that should concern parents everywhere. Parents of adolescents are naturally concerned about the possibility of their kids getting involved with illegal drugs or alcohol. But few moms and dads realize that they may be keeping dangerous and potentially addictive substances right in their very own medicine cabinets or bathroom drawers. And in this instance we are not talking about prescription drugs. Instead, we are referring to such supposedly benign substances as cough and cold remedies, diet pills, sleeping pills, and medicines taken for motion sickness. Many believe these types of over-the-counter chemical potions can be used with impunity, but, in reality, these substances are neither as harmless nor as mild as people think, especially if taken in larger-than-usual doses. Is Your Teen Raiding Your Medicine Cabinet? Teenagers are not oblivious to their parents’ upsurge in the use of prescription medications. In fact, many teens are robbing the family medicine bottles to feed their own addiction to prescription drugs. It can be both confusing and heartbreaking when you begin to suspect that someone you love may have become addicted to alcohol or drugs. Sometimes the indicators of an addiction to alcohol or drugs are obvious, but sometimes they are more subtle. The latter is especially true if your loved one is really good at hiding his behavior, or if you don’t seem him very often. Studies, surveys and broadcast news are all telling the same concerning story: Kids are abusing whatever drugs they can get their hands on. Despite many years of PSAs and anti-drug campaigns aimed at teens, they may have changed the substance of choice, but not the behavior. Kids today are grabbing for whatever happens to be on the shelves at home or in the neighborhood drug store.